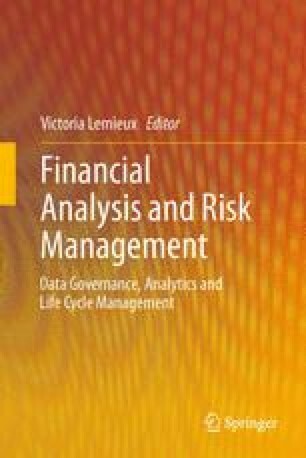 Understanding how individuals and organizations make financial decisions under uncertainty and with different information settings is fundamental to informing the theory and practice of information management. Due to limitations on cognitive ability and problems of information overload, complex information sets may not be fully understood, resulting in suboptimal economic decision-making. We have applied visual analytics (VA), which enables users to interactively discover information from large information sets, to improve the financial decision-making process. Using an experimental methodology, we find evidence that VA reduces the cost of obtaining information, improves decisions, and increases confidence of users in a range of different financial decision tasks involving risk. This is a nascent area of research, and additional work is needed to develop and evaluate VA tools for financial decision-making and risk management. Best practices guidelines for presenting complex information sets may only develop through rigorous evaluation of the effect of information presentation on actual choice. In addition, the impact of VA in collaborative decision-making environments is not fully understood. The future of applied VA for financial decision-making and risk management must involve an interdisciplinary team of behavioural economists, VA researchers, computer scientists, and cognitive scientists.